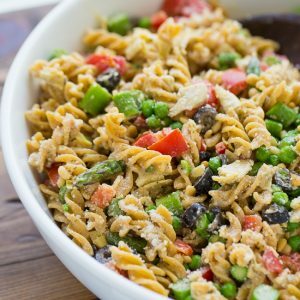 Before going gluten-free, this pasta salad was one of my favorite go-to’s for summer picnics and parties! Everyone always loves it and asks for the recipe. The creamy garlic dressing is to die for and really makes the salad. I like using the dressing for regular green salad as well! A few months ago I had a dog-thememed birthday party for my son and wanted to make this and call it “PAW-sta” salad amongst other dog things (cheesy Mom jokes..). Luckily I found a brand of gluten-free pasta that actually holds up in a cold salad! I was thrilled. Nobody even thought about the fact the salad was gluten-free while they were eating it! Broccoli, artichokes, red peppers and olives make a winning combination, but you can really use whatever vegetables you’d like. 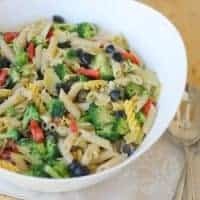 A friend who came to my son’s birthday party remembered this pasta salad and asked that I bring it to a get-together a few weeks ago. It is so nice to be able to enjoy one of my favorite dishes and have it taste exactly the same! This pasta salad is always a crowd-pleaser. The creamy dressing really makes the salad! Blend all the ingredients for the dressing in a blender. Cook the pasta according to package instructions. Drain and rinse with cold water to stop the cooking. Combine all the ingredients for the salad and about 1/2 the dressing. Mix then add more dressing to reach the desired consistency. Refrigerate at least 1 1/2 hours before serving. Enjoy! This salad looks so delicious! 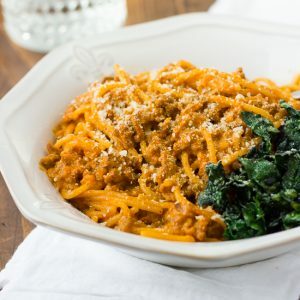 It’s loaded with lots of wonderful flavorful ingredients and this is a MUST try! I would with your permission like to share this on Facebook. 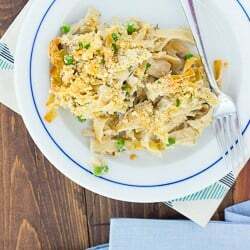 I just found your site and love your cooking with lots of fresh, healthy foods! Going to try tonight the Avocado Banana Smoothie. Thanks for all you do! Thanks Terri! You can definitely share it on Facebook. Hope you enjoy! This is now our new favorite pasta salad. So creamy and yummy. I don’t know what that means. I am so looking forward to to making this especially when I know what I’m doing! Loved this salad! I have been looking for a gluten free replacement recipe for my mom’s pasta salad. I also do not tolerate gluten free pastas, but I made this salad with just the veggies and it came out great!